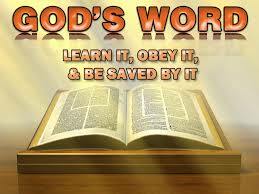 ...The Kingdoms of this world are become the Kingdoms of our Lord.... Amen. (Rev.11:15 KJV): CARINA JACOB: DO NOT BE DISCOURAGED. 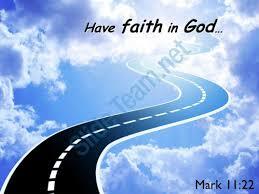 HAVE FAITH & NEVER GIVE UP ON GOD!!! CARINA JACOB: DO NOT BE DISCOURAGED. 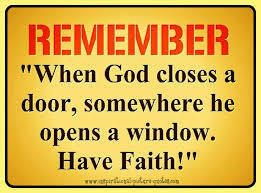 HAVE FAITH & NEVER GIVE UP ON GOD!!! Good morning my beloved Ministers and Readers! Our God is Great! He giveth power to the faint; and to them that have no might he increase strength. With Great joy, I now Present our Youth president, (*if you are a youth shout Halleluiah*) Carina is indeed endowed with an excellent spirit in writing, there is Wisdom when she speaks...Grace empowered the word to show the manifestation of the Glory of God! I am forever grateful to God for all the Ministers God have used in this 2015 bloggers' Conference, tagged: Walking Into my Divine Inheritance! Thank you all for Honouring God! In the beginning, God made heaven and earth. He created humans and placed us on earth not to doubt him. Let me tell you a true story of a young man named James (not real name) was searching for a job after five years. He gave up on life because he was tired, drained and discouraged because no help came. His wealthy uncle promised to help with in an oil company but whenever he visits his rich relative, he was always giving him excuse. Some of his excuses are, “give me more time. “The economy is bad but I will find a way for you. “I am travelling to the United States, wait for few days and let me return and I will give you a lucrative job. This young man will wait and wait, sometimes for weeks and sometimes months, nothing was forth coming. He will borrow money from his friend/neighbor. There was a time he could not pay back the money he borrowed at the time he promised to refund it, out of wickedness; his friend began to narrate him in their neighborhood. He begged he was going to return the money as quickly as possible. A graduate of petroleum engineering became a bricklayer to pay back his debt. If you are discouraged, then you have lost hope, you are no longer determined and you have no faith in God anymore. The devil is a big lair because that is exactly what he wants. He is a destroyer and when you are discouraged, you won’t have any effort to work towards what you want. 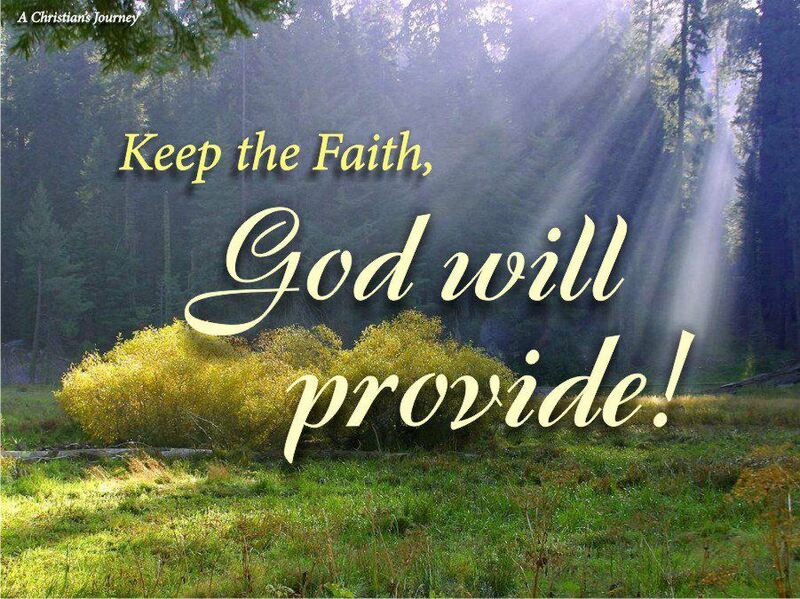 No help will come when your faith in the Lord is 0%. Back to the story, After James paid his debt, he was ashamed of himself and was eager to succeed. He became a full time bricklayer, made plan to save as little as he earns. After few months, he decided to fast and pray for three days. He used half of his savings as tithe and cried to God for a miracle. He cried to God to send his helper, someone that will help him greatly. Four days later, his uncle called and invited James to his house, he found him sick. He gave him an appointment letter from an employer of an oil company. It was given to him to give James but he kept it. He asked for forgiveness because his mind has been judging him and he has been having nightmare. James was shocked, forgives the man and went to the company the next day. James could not believe the position they offered him was still vacant. He asked the secretary how come? She said their boss has been waiting for him for a long time and he believed he would surely come for his job one day. He jumped out of excitement and praised the Lord. His faith and believe in GOD was not in vain. As you can see the centurion did not need the Lord’s presence in his home, just by having faith he knew his servant will be healed. Jesus was marveled and said to the Centurion, Go, be it done to you as you have believed. The servant was healed at that very moment. Whatever challenges, do not be discouraged. Whatever difficulty you are passing through, be determined, believe and have faith that God has answered your prayers. If you know what you are searching for is important, work hard, believe in Christ, have faith in him and pray hard. Your prayers will definitely he heard and answered. Do not give the devil an opportunity to be happy, yes he will when you lose hope in the King of kings. Trust God! God is not a God of failure. 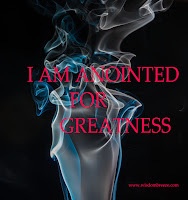 He is powerful and perfect and whatever you desire, craves for, you will receive it/them in the Mighty name of Jesus Christ. Amen. Stay blessed! I pray that your faith fails not Temitope, be strong in the Lord, Amen! God bless you for coming! we hope to see more of you. stay blessed! Carina sassy mum must really like for her to come on the day of your ministration, I love the attraction through God's Word! welcome sassy mum, I pray God to fill you with more inspiration in all your endeavours! 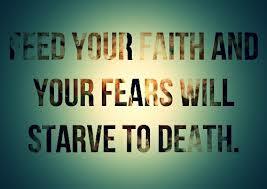 Our faith is what God looks at when He wants to bless us. May we have faith and never give up on God. Inspiring piece Carina. my faith looks up too thee,the lamb of calvary saviour divine. 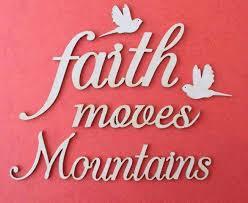 with faith i can move mountain. Remain in Faith Minister BMF, for without faith it is impossible to please God. Receive Grace in Jesus' name, Amen!